It has been Big Fish Bonanza Here on Most Days! 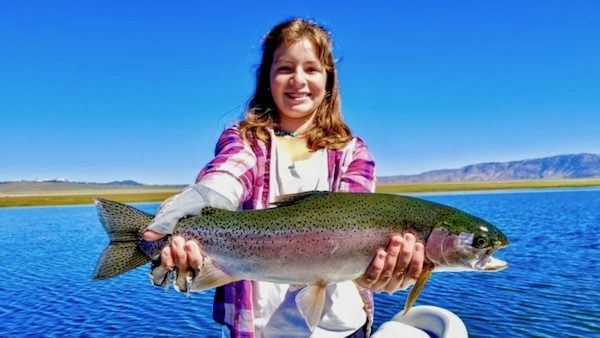 Alexis Lara fished hard and was rewarded with this solid bow! 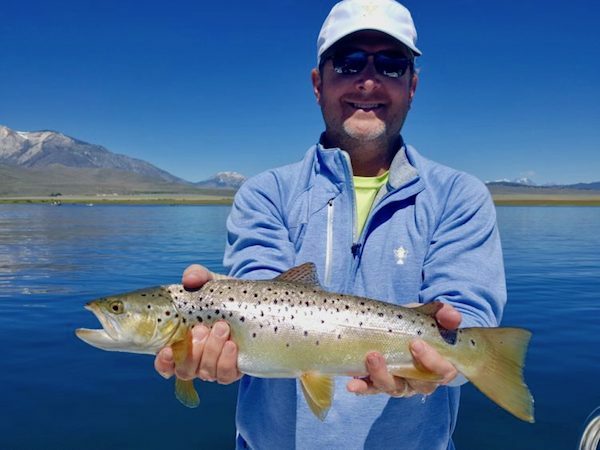 It has been big fish bonanza here on most days as the trout have moved onto the flats and the river and creek channels. The damselfly nymph hatch has really gotten going now, and you can observe large trout crashing on these little critters throughout the day. The algae has gotten thicker in some areas, and depending on the direction of the wind, you may get a good showing of it where you are fishing. The flies are staying clean currently in these conditions, but watch out for the jellyfish like blobs that gets pushed from the shallows. Good patterns have been our #16 Level Crystal Leech,#16 Parallel Assassin Light and Dark, #16 Parallel Punk Perch, #18 Crystal Tiger Midge, and Zebra Midge. Bridgeport Reservoir: Pretty Much the Best You can get here on Most Days! 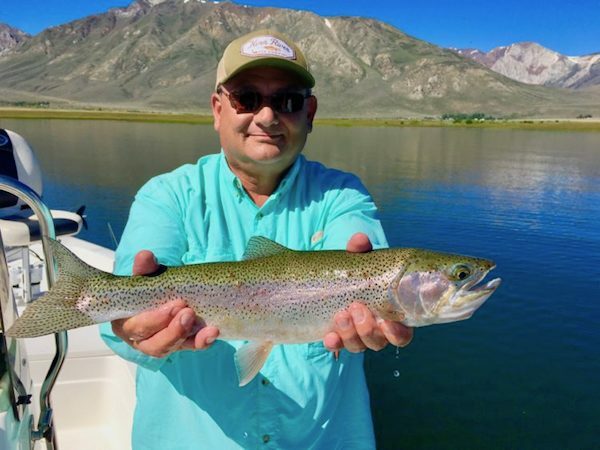 Crowley Lake: The Big Fish are on the Feed! 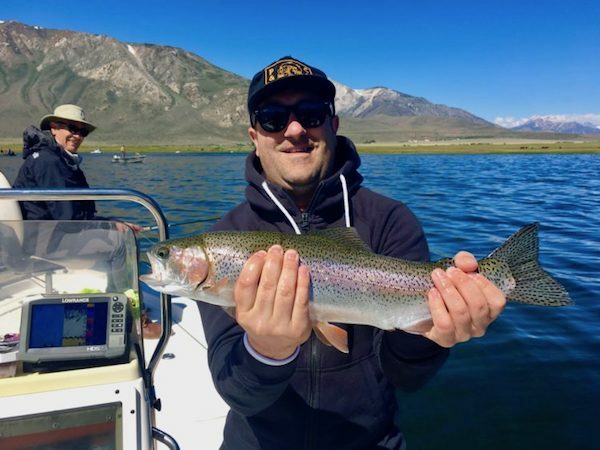 Bridgeport Reservoir: Conditions on the Reservoir Have Been Perfect! Owens River - Middle: Flows Coming Down Here But Crowley Lake is Still Rising! San Joaquin River - Middle Fork (Mammoth Lakes): The Road to Red’s Meadow is Now Open. Hot Creek: Excellent Mayfly, Midge, and Caddis Hatches Happening Daily. 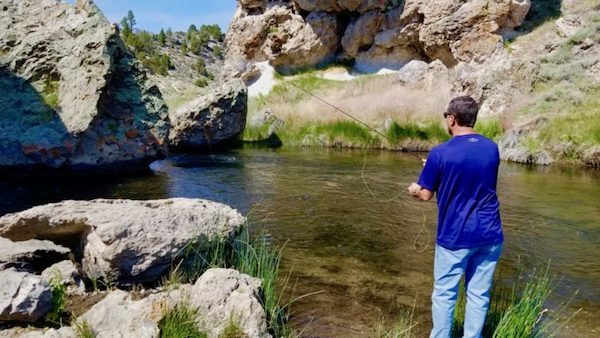 Walker River - East Fork (CA): Lots of Big Fish Spread out Through the River.